As of tomorrow we’ll only be 50 days away from the season opener at Bahrain! Granted, it’s still too long, but in POP’s humble opinion the pre-season build-up is now well and truly in full swing. Ready, steady …..
On one side there’s ‘Group Lotus’ (owned by Proton), and the other is Tony Fernandes and the team which we all knew as ‘Lotus’ last season. Group Lotus granted Tony & co a licence to use the ‘Lotus’ brand for the 2010 season. There’s now a High Court hearing potentially set for the summer (POP loves a good old courtroom battle). However, Group Lotus look set to win this battle – they’ve applied to the court for ‘summary judgment’ (normally only applied for where the other side’s case is so blatantly pathetic). Anyway, Lotus isn’t even that great a name, so POP isn’t entirely sure what all the fuss is about! Watch this space…. When UK Formula 1 coverage returned to the BBC after the “wilderness years” at ITV, Fleetwood Mac’s ‘The Chain’ also returned as the F1 theme music. Seminal. Legendary. Spine-tingling. Such is the power of just a few notes of this song. POP has excitedly discovered a campaign to get ‘The Chain’ to No 1 in time for the Bahrain grand prix (so don’t go buying it now). POP already owns a copy (as every proper F1 should), but as it’s a good cause POP will indeed buy it again. Put it on loud and air guitar to your heart’s content! As of now, POP will be putting out an extra special mention to the birthday boys (and girls) from the world of F1 over the last week. This week it’s a double bumper edition, as birthday-buddies Jenson Button and Karun Chandhok celebrated their 31st and 27th birthdays respectively on Tuesday. Karun is such a top bloke that he even wished Jenson a happy birthday via the medium of Twitter. Bless. Thanks for all the birthday messages tweeple ! Having a relaxed evening with some friends at home… Happy birthday also to @JensonButton !! Usually when POP says ‘PITS’ that means the person/team etc has had a bad week in the world of Formula 1. However, in the case of Pat Symonds (former Renault engineer involved in the Singapore Crashgate saga) he may literally be returning to the pits. The FIA tried to ban him, but because at the time they only regulated the drivers with ‘Super Licences’ (required to participate in F1) then they couldn’t lawfully ban engineers/managers etc without also creating a licence system for them too. 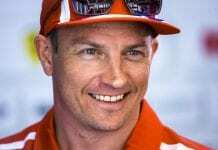 Pat did reach an agreement with the FIA not to return full-time to F1 until 2013, but that doesn’t prevent him from getting involved on a consultancy basis. But which team would employ such a lying cheating individual? Oh wait, Pat!, Montezemolo is on the phone for you! Previous articleRules Changes for 2011 – Good or Bad? Next articleBadger featured in Autosport!